Having a California chic wedding? That's the best way to describe Show Me Your Mumu's style, including their c dresses. 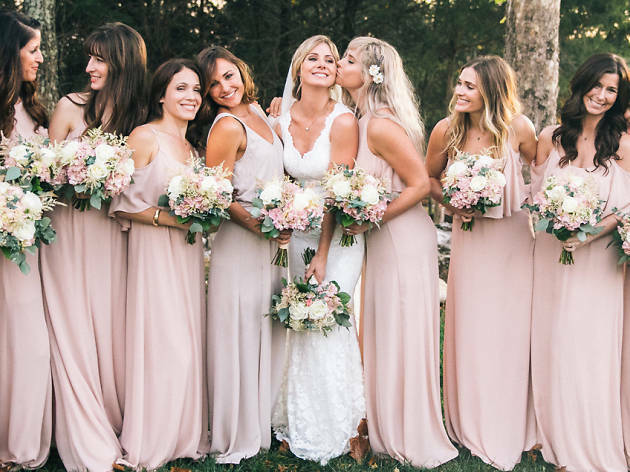 While you may be more limited in color choices here than at bridemaid-specific stores, Show Me Your Mumu has a chic, laidback designs at very affordable prices—your bridesmaids will thank you if you select one of the under $200 dresses. Even the most expensive dress in this collection would be at the lower end at most bridesmaid stores, and who doesn't love a good bargain. While they have a shop in Venice, the bridesmaid collection can only be found online.